"Going forward we have the potential of domestic steel demand growing at 10-11 percent for another three years consequently if nothing extraordinary happens. But in normal circumstances I would expect that," Joint Plant Committee(JPC) Chief Economist A S Firoz told PTI. Demand for steel in India is likely to see an annual growth of 10-11 percent over the next three years, buoyed by a firming trend in the construction sector, among other factors, an official said. "Going forward we have the potential of domestic steel demand growing at 10-11 percent for another three years consequently if nothing extraordinary happens. But in normal circumstances I would expect that," Joint Plant Committee (JPC) Chief Economist A S Firoz told PTI. 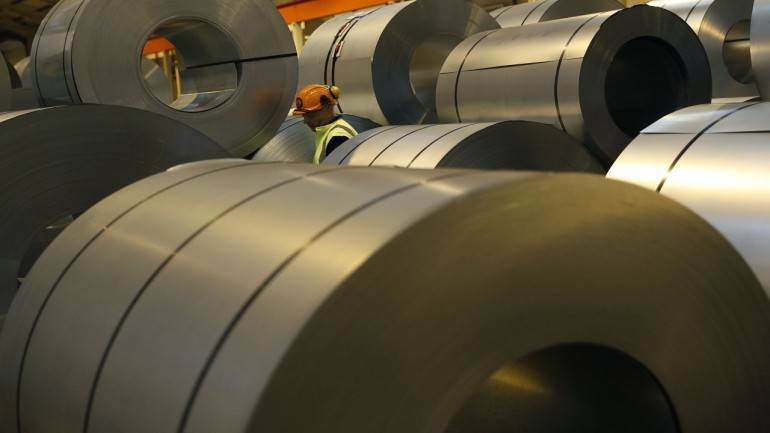 Domestic steel demand grew at 8 percent in the first quarter of 2018-19, he said. "Given the kind of movement that is happening in the industries which consume steel, given the kind of momentum that has been built up in the construction industry...all this will raise steel demand significantly," he said. He noted that industries like two-wheeler and auto are getting shaped up that will raise domestic steel demand in a big way. Replying to a question, Firoz said the global trade conflict will not have any immediate impact on the Indian steel market. US President Donald Trump has imposed 25 percent import tariff on steel and 10 percent on aluminium. However he said there are few constraints to steel production. "One kind of constraints is that we may not have the kind of products that are in demand, there might not be domestic capacity. So when you don't have domestic capacity, you have a problem of meeting those demands. Imports will come in," he said. World Steel Association had earlier said that in India, steel demand is expected to accelerate gradually, mainly driven by public investment.